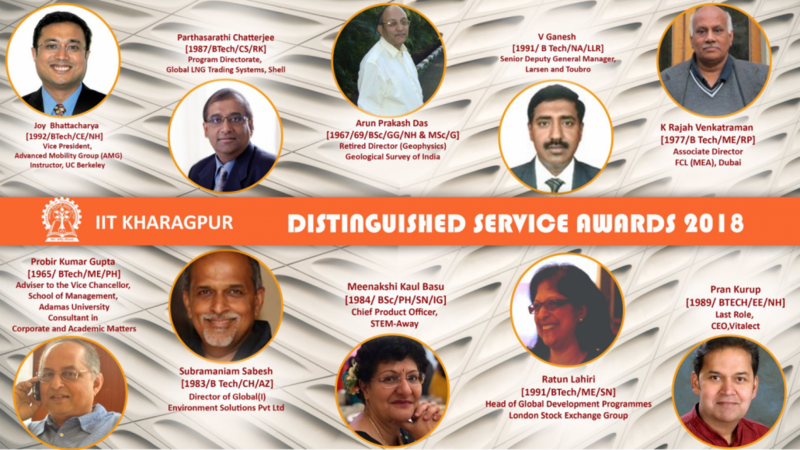 AMG is pleased to announce, that our very own Joy Bhattacharya, PE, PTOE, was recently awarded the 2018 Distinguished Service Award, by his Alma Mater, the Indian Institute of Technology in Kharagpur. Each year, a handful of alumni from all over the world, are selected and recognized for their exceptional services to the University and the community, academics and research of the Institute, resource generation for the Institute, and activities involving alumni and other stakeholders of the Institute. Joy is Vice President of AMG’s Innovative Transportation Solutions Group which was created to effectively bridge the gap between past practices and being prepared for the future. With 25 years of transportation engineering experience, he provides innovative Traffic Engineering, Transportation Planning, and Intelligent Transportation Systems (ITS) solutions for the Global Market. He has expertise in traffic engineering, traffic simulation, traffic signal systems with traffic simulation, traffic signal timing, traffic operations, ITS, Connected and Autonomous Vehicles, and Smart Cities. Joy teaches signal operation and ATCS at UC Berkeley and is an ITE fellow. Joy’s latest initiative is an exciting CAV Traffic Signal Lab Project at GoMentum Station, in Concord California. AMG partners with the National Fitness Campaign to implement a new outdoor fitness... AAA, NCNU Board Members Tour GoMentum!